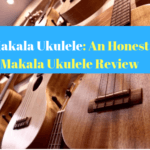 Home » UKU Training » Luna Ukulele: Is Luna A Good Ukulele Brand? Luna Ukulele is a very familiar ukulele brand that has earned a lot of name in ukulele industry. Whenever a friend asks me about a high-quality ukulele brand which is rich in features I do not make a second thought to suggest it. This brand is my favorite so far, thanks to the super usability and variety of features. When I hold one, I feel comfortable and the neck is smooth to grasp. After being included with the guitar I wanted to try the ukulele since I knew a decent guitarist would make it. I was well with the guitar and I decided to try the uke too. But I was very confused about the brand but as soon as my best friend suggested me the Luna, then I decided to pick it up. Now I am highly impressed and satisfied with my experience. This Luna brand is special since they offer so much for the price. If you are somebody who looks for stuff that is out of the box then this brand will not disappoint you. The first thing about the Luna Ukulele is the mesmerizing design and outlook. I was appealed the moment I saw it, kind of like love in first sight (blink). They are sold for the appealing outlook it has since the uke players would want something that goes with their personality. It gives you an artistic look that makes you stand out in a performance. The conventional design is a classic best appearance anybody would go for. This brand is well known since the 2005 and they made a bunch of guitars too. This company is organized by a lady who was a designer in the original. All the ukes are laminated and the website is rich with the specification. There are different types of Luna to choose from. You would easily get different price ranges and different types once you visit their website. Also as a beginner, if you are having a hard time to pick a good ukulele than you have the Tattoo model that is in concert scale. What Material Used For Luna Ukulele? Most of the reasonable priced Luna is made of good Mahogany material. The construction of the Luna Ukulele is satin and the finish is absolutely pleasing. The frets of the Luna Ukulele are also designed fairly with a standard number. There is no sharp edge to be found in most of them. Also, the tuners that come along are really good to tune and no less than the ones you buy extra. The most flexible part is the price range. People from different income ability can afford a good quality ukulele from this brand. There is something for everyone that would suit preference and needs. The sound is also immense and high pitching in Luna Ukulele. The volume and sustain are good and appraisable. You get a great deal of joy to tune and play it. It is full of life in tone and projection. There are an array of sizes available and they gained popularity in the US. Multi-instrumentalists were getting turned on to the sound, and for guitarists, it was a humble transition. Soon, along with the Soprano (standard), came the Concert, Tenor and Baritone, all upholding the essence of the Uke, but altering the subtleties of tone and volume. The Soprano (or standard) ukulele range in the brand is a picture perfect size that most of the world thinks of when the term is mentioned. Picture Tiny Tim tiptoeing through the tulips- the Soprano ukulele usually measures thirteen between the nut and the bridge (Scale length) with a total length of twenty-one. The Soprano Uke range is a very common range with a popular alternate tuning, which frequently produces a sweet, ringing sound. There Concert Ukuleles is just a bit bigger than the Soprano. Due to its larger size, it makes a slightly deeper sound with more dimensions than the Soprano Ukulele. The greater size makes the fingerboard easier to move and easier to learn. There Tenor Ukulele is just greater than the Concert Ukulele, with a scale distance of 17″ and a total length from tip to tail at 26″. It produces a more profound sound but maintains the obvious ukulele tone. The Baritone ukulele is the elder brother of them all, frequently playing the bass line notes in a ukulele configuration. The scale length is 19″, with a whole of a whopping 30″ length. Good for transitioning guitarists, the Baritone ukulele parts a tuning similar to the four strings on a typical tuned guitar. The style and price of all this size worth mentioning. People from all over the world have highly praised the quality and their extreme satisfaction with this gadget. 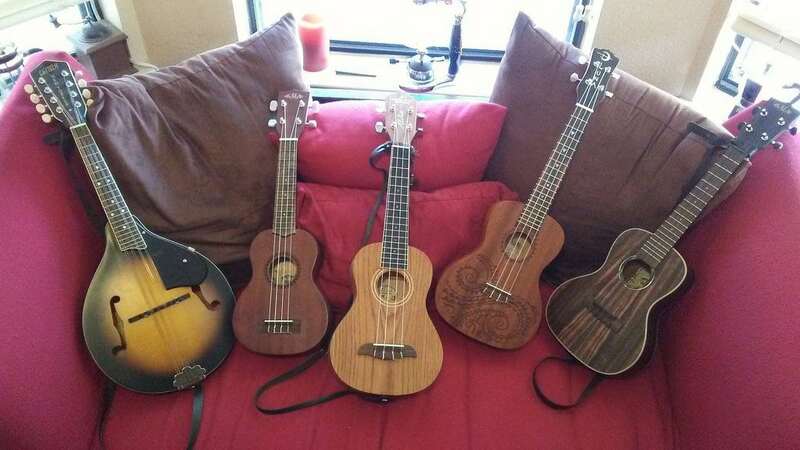 Check if they sell ukuleles or are they a secondary item? Luna has a reputation to produce first hand. Is the gadget in stock? No sense going through the checkout procedure only to discover the item is out of stock. With this brand, you are supposed to face no difficulties. Do they offer a contact page where you can email or call about any extra questions and/or concerns you may have? You’ll easily get the info from their official website. Do they answer your questions and/or concerns on time? As far as I know, they do. Is the checkout process protected and do they accept most main credit cards? You’ll get the info right away while making a purchase. Purchasing your first ukulele is a task that will end up being with you for the rest of your life. There are “box stores” that do nothing for you accept ship you a cardboard parcel with a ukulele inside. There are improved ukulele dealers that tune, inspect and check every instrument to confirm it is fully playable before they ship it to you. With Luna, you can rest assured for that. 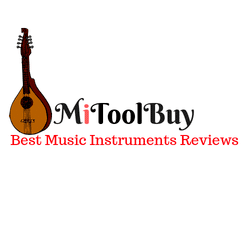 Don’t make the mistake of buying from a company with a bad status and being so disappointed that you give up on any of the fine instruments obtainable. In fact, dealing with the best company is part of the venture of buying your first ukulele.